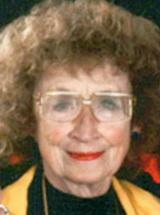 CEDAR FALLS — Maxine June Aldrich, 89, of NewAldaya Lifescapes, died there Sunday, July 7, 2013 of natural causes. She was born June 13, 1924, in Waterloo, daughter of Darwin and Freeman Pitts. She married H. Frank Aldrich on Oct. 16, 1954, at St. Paul’s Methodist Church, Waterloo. Mr. Aldrich attended Northwestern University for two years and was employed as a bookkeeper/secretary at a meat processor and at a pump manufacturer. She was a member of St. Paul’s Methodist Church, Waterloo, and of Waterloo Women’s Club and was an Elklette. Survived by her husband; two sisters, Sandra Arquette of Prescott Valley, Ariz., and Marlys Priebe of Cedar Falls; a niece; and two nephews. Maxine won many local and state music awards.